Though our network of vendors we can provide you with access to the most popular equipment and accessories. Here is a sampling of the equipment lines we carry. 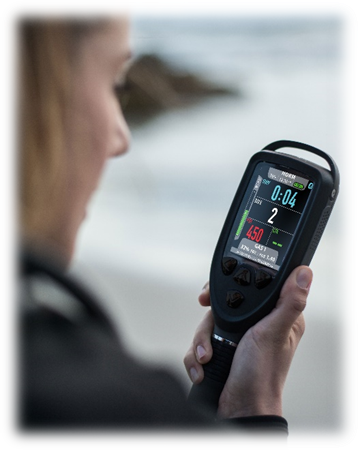 Founded in the early 80’s, Zeagle is an innovator in the dive industry, being one of the 1st companies to successfully market weight integrated BCDs. Zeagle is part of the Huish Outdoors family, which includes Atomic Aquatics, BARE and Stahlsac. Henderson Aquatics has bene making top quality wetsuits since the early 1960’s. Based out of Millville, NJ Henderson provides cutting edge wetsutis, realistic sizing, and a wide varity of options for custom wetsutis, in addition to their wide range of stock sizes. Oceanic’s innovative diving products are sold through more than 600 U.S. dive retailers and worldwide through more than 25 international distributors and AUP’s own affiliate companies world wide. Oceanic is part of the American Underwater Products (AUP) family of dive equipment, which includes Hollis and Lavacore. Equipment designed to accommodate the beginning sport diver to the exploratory technical diver, using the most cutting edge materials and proven technologies for any condition. For nearly 60 years, OCEAN REEF has been involved in the underwater diving industry. OCEAN REEF full face mask series, offers great visual fields, superior comfort, reliability, and durability. OCEAN REEF also provides high performance communication systems, regulators, and other fine diving instruments and accessories. Most people purchase their first dive mask with very little knowledge of masks and a primary focus on price. While we carry Sea Vision Masks, the last mask you will ever buy! Prescription lens are also available! We are proud to be an authorized Princeton Tec dealer. Princeton Tec has been providing the dive community with quality lights since 1975. Princeton Tec offers a full range of dive lights, for every need, from simple tanker lights to super bright primary dive lights. XS Scuba may be a newer name in the diving industry; however, the ownership behind the name is anything but new. XS Scuba offers a diverse selciton of hard to find scuba primary and asscessory items. From BCD’s to Fins, XS Scuba has it all. Innovative Scuba Concepts (ISC) is one of the largest, single stop, suppliers of dive equipment and accessories. ISC offers a wide range of scuba products. Form Airline adapters to Zippered Log books, and everything in-between, ISC has it all. Scuba divers, surfers, and all other water sport enthusiasts pose the same complicated question again and again. How can I control wild wet hair, beat the cold and look good while doing it? Now there is a single solution. An all in one solution. The SCAP keeps hair in place, insulates the head, and expresses your adventurous spirit.